As a member of the Corporate Management & Operations team, Jennifer works directly with KWCP leadership teams, overseeing general marketing strategy, brand strategy, PR, events, outreach, and engagement. Prior to joining the team, Jennifer consulted for a variety of clients from across the region in restaurant/hospitality, A/E/C, arts and culture, and professional service sectors. She was the Founder/Principal of JML marketing + communications, an IMC agency that provided expert marketing and branding guidance to high profile food and beverage concepts, real estate professional services firms, and arts and cultural organizations. A DC-region and city resident for more than 20 years, Jennifer has a B.A. 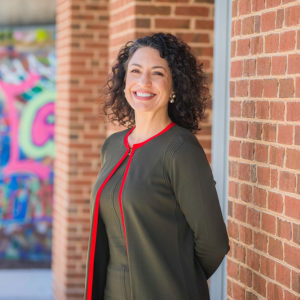 in art history and arts management from UMBC, and she has taught in the Master of Professional Studies Marketing-PR and Corporate Communications program at Georgetown University School of Continuing Studies.